You know that frustrating feeling. You look out over your beautifully manicured lawn, and you see patches of coarse crabgrass shooting up all over. You are at a loss. You have done everything in your power to maintain your healthy, lush lawn, and despite the actions you have taken to ensure crabgrass control, it still pervades. How do you eliminate it once and for all? Weeding is the most cost-effective way to control crabgrass. While it is not the easiest and likely the most time-consuming tactic, it is sufficient for removing the grass from your yard. However, while weeding is suitable for limited removal, it will not prevent further growth. Another cornerstone of crabgrass control is called deep watering. Crabgrass is considered an arid type of weed, meaning that it prefers dry landscapes. Therefore, when watering your yard, your goal is to drown it out. If you overwater your yard, then crabgrass cannot survive. However, this method has to be used repeatedly to ensure the elimination of the crabgrass, and while that may be OK in some areas, others have restrictions on the amount of watering you can do. A more obvious approach is to use a specially formulated herbicide to stop the germination process. However, for this to work, you have to wait until the ground temperature is at least 55 degrees and germination begins. You can spread the herbicide at the same time you fertilize your yard to improve efficiency. Crabgrass prefers to have room to grow. Therefore, keeping your yard full and healthy is vital to controlling this cumbersome weed. Anytime you notice that your yard is thinning out, or that bare spots are developing, immediately seed the areas. While crabgrass control is possible for the average homeowner, it does require persistence. Fortunately, there are companies available who will maintain your yard for you, ensuring the health, beauty and protection of your luscious landscape. Spring is in the air, trees are starting to bud and grass is beginning to fill in after a long winter’s nap. Now is the perfect time to get your lawn prepared for summer. 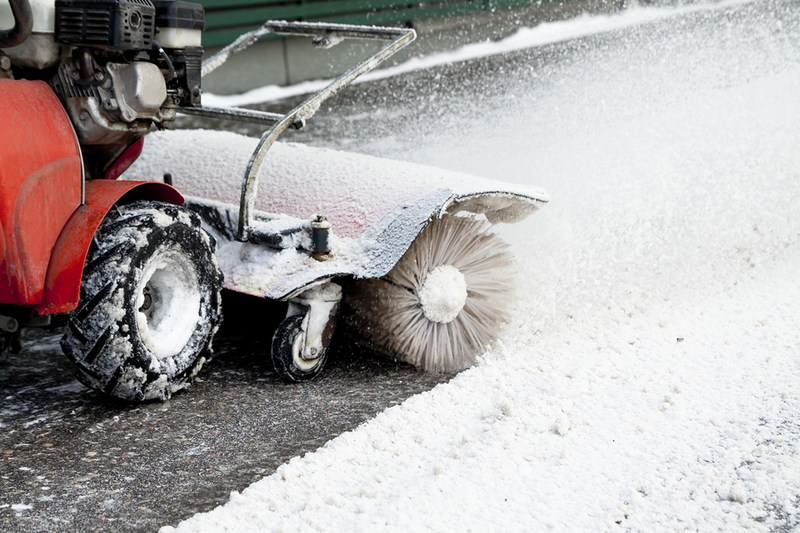 Though many homeowners are aware of the benefits of thatching and aeration, there is another lawn preparation method, verticutting, that may breathe life back into your grass. Here are some great reasons to give it a try. If walking over your springtime lawn is a spongy experience, you may have too much thatch, preventing growth. Verticutting, vertical lawn mowing, uses vertical blades to help eliminate excess thatch allowing more air, nutrients and moisture to reach the roots of the plants. The vertical blades dig deep and break up the canopy, allowing plants to breathe, improving the health and vigor of your lawn. Though this is a common practice for sports turf or commercial properties, many grass varieties may benefit from this process. Decreasing water consumption is not only good for the environment, but it can also be great for your pocketbook as well. Verticutting can improve the quality of your soil, making it more able to absorb water, without unnecessary runoff. Giving your grass uninhibited access to water will allow that water to actually reach the roots. The plant can then make food more efficiently, creating a beautiful, lush lawn, without extra watering. After a winter of leaf or snow cover, or a summer of harsh heat, you may see some unsightly brown patches. 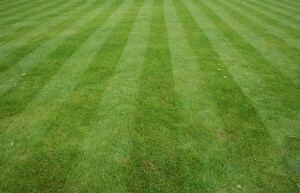 When you prepare your lawn for overseeding by vericutting, the seeds have access to soil, rather than landing in thatch. This ready access to nutrients allows seeds to thrive, and those bare spots can become full and healthy again. Verticutting can restore your lawn’s vigor and beauty and is a smart choice to add to your lawn care program. Contact a lawn care professional today to learn more. 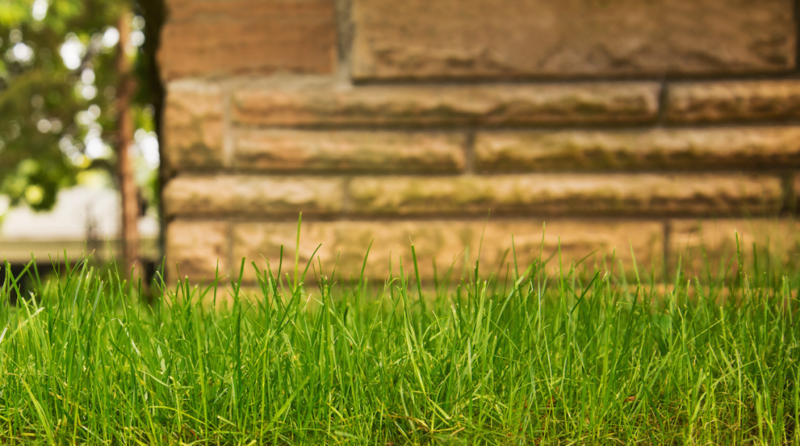 When it comes to basic lawn maintenance, pest control and prevention are priorities. 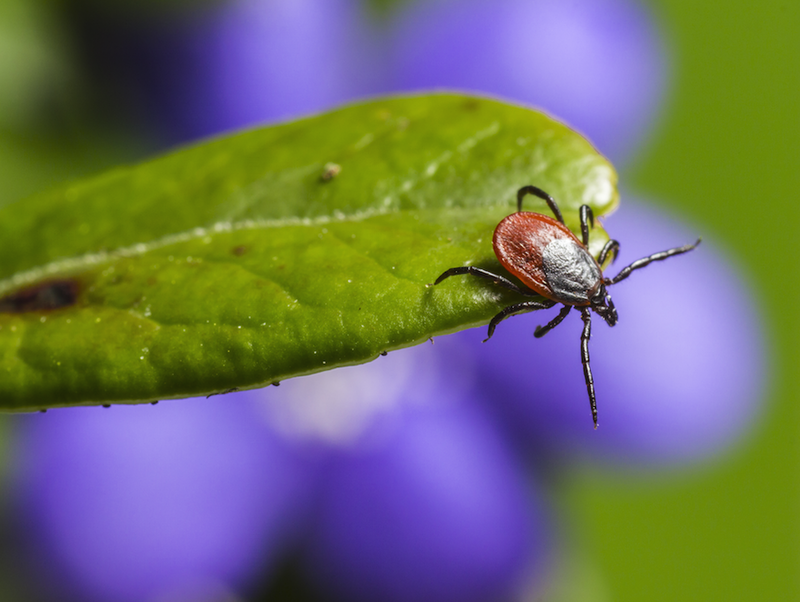 It’s natural for your yard to attract pests, but it’s up to you to do something about it. For help with pest control, following some simple techniques can improve your yard and make it unwelcoming for insects and small animals. Pests use grass for shelter. Keep your grass as short as possible. Not only will this look nicer, but if it will also help you maintain lawn pest control. Firewood attracts termites, rodents and other pests. Make sure that you stack your firewood away from the house to avoid those pests invading your lawn or home. Leaf and stick piles serve as shelter for rodents and insects. Make sure to remove them throughout the year, before it becomes a problem. Pests and other insects feed off garbage. To keep them out, you need to make sure that your lids are intact and that all garbage is secure. Low spots in the spoil, children’s toys or empty flowerpots gather water. The standing water attracts insects, such as mosquitos. Make sure that you get rid of any standing water throughout the year for lawn pest control. Birds are a natural predator for many insects. If you can attract birds into the yard, then this might help you naturally deter any pests from staying. There are a lot different chemicals and products on the market that help you deal with lawn pests. A professional can help you figure out what would be best for your situation. After all, if you have pets or children, your solutions might be different from someone without. Likewise, a professional can help you maintain your lawn. Lawn pest control can be as easy as maintenance. With a professional, you can help prevent and manage the pests. Your lawn needs food to thrive. While most people understand that gardens and plants need fertilization, they often forget about their lawns. It’s true that lawns can be relatively low maintenance. It doesn’t take a lot of work to keep your lawn healthy. Still, you need to pay attention to its needs and consider lawn fertilization. Your grass needs food too. 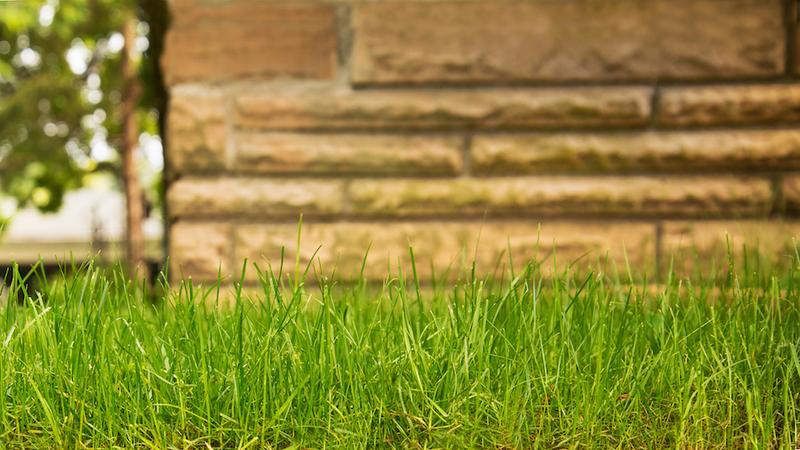 Here is what you need to know about lawn fertilizer. Complete fertilizers contain nitrogen, potassium and phosphorous. To use a complete fertilizer will generally lead to higher quality lawns. These fertilizers contain the essential elements that you need. A balanced fertilizer uses predetermined ratios of critical elements. In order to use balanced fertilizer correctly, you need to know what type of grass you have. Once you know that, you can choose your bag depending on grass type. 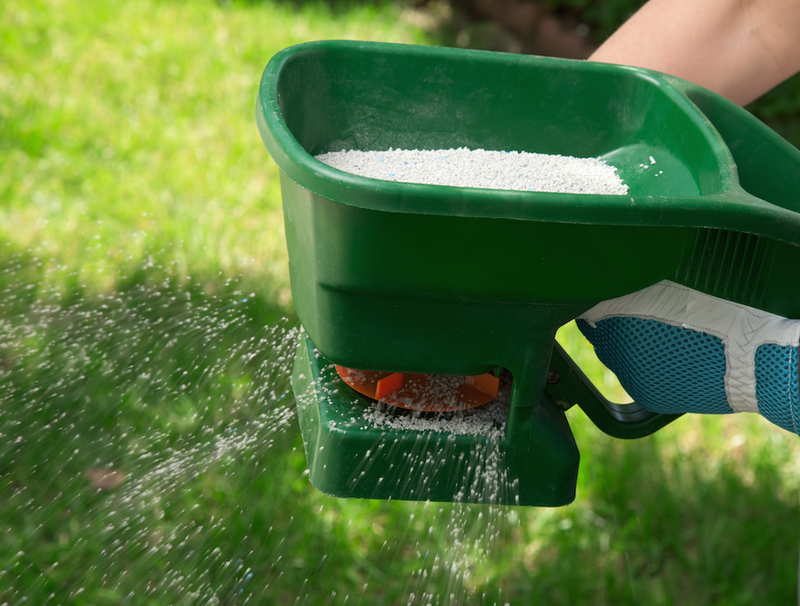 Lawn specialists may be able to help you decide on the right type of balanced fertilizer. Some fertilizers release nutrients over time rather than all at once. These are great to strengthen your root systems and to fill in bare patches of lawn. Likewise, this type of lawn fertilization helps with weed control. If you prefer organic fertilizers, there are plenty on the market. When people want to be more environmentally friendly, they tend to choose organic or chemical free fertilizers. One question many people have, however, is whether organic works better than non-organic. The truth is that they work about the same. It’s all about preference. Chemical free fertilizers are important if you are worried about run off or other types of pollution. 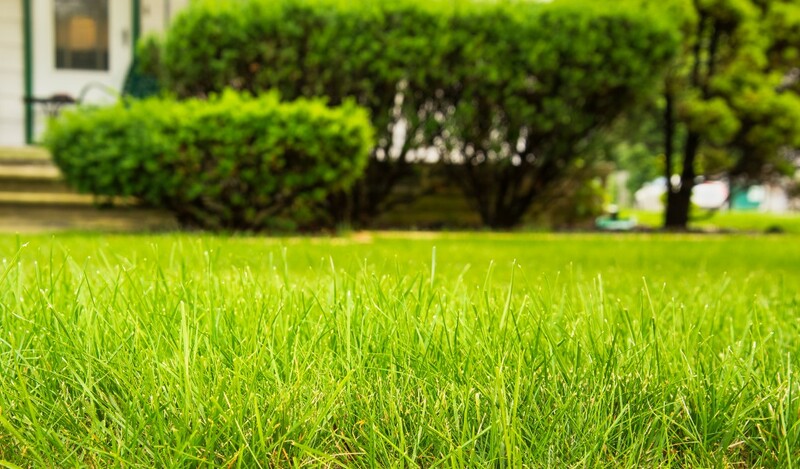 When it comes to lawn fertilization, you do need to consider it to keep your grass green and growing correctly. 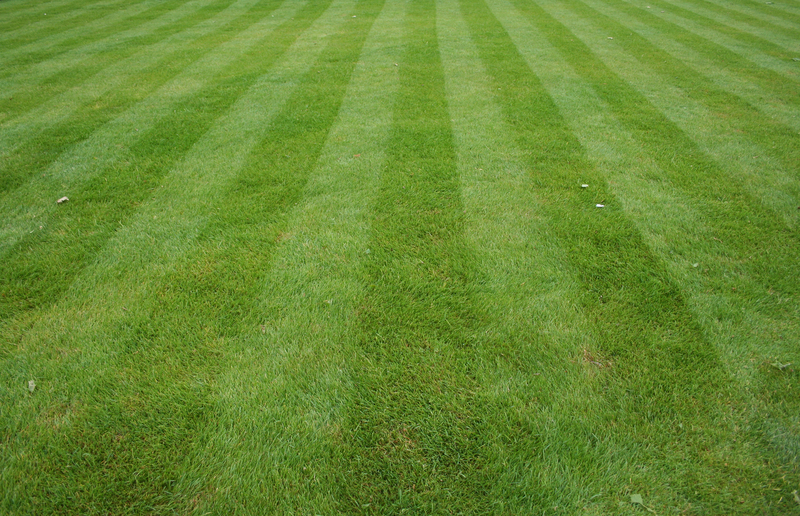 Using a lawn maintenance specialist can benefit you in keeping your lawn healthy. After all, a healthy lawn tends to look best. Homeowners commonly relegate tasks like planting, weeding and pruning to landscaping companies, while failing to recognize the additional services many of these companies offer. Although notable for their ability to improve the aesthetics of a property through gardens, greenery or maintenance, a reputable landscaper can bring so much more to the table. By knowing what else they can provide, you can make a more informed decision before you hire. If your soil doesn’t drain well or the composition isn’t conducive for your plant life, a skilled landscaper can offer solutions. They can test your soil and determine the Ph level or balance between elements. They may grade your land and create drainage pathways, or develop designs which encourage irrigation. They may also till the land and mix soil or supplements for healthier and vibrant plant growth. A landscaper can also offer advice on the plant varieties that will work well with your property. A beautiful yard doesn’t require lots of acreage to be impressive. A strategy to maximize sun locations and complimenting colors can turn even the smallest of yards into a wonderland. Your landscaping company will have advice (based on experience) in this area. One of the most frustrating aspects of gardening is loss and destruction by seemingly invisible insects or fungi. The variety of plants in your yard can play host to a number of bacteria, mold, or fungi, making it difficult for a novice to find out what is killing the plant life. The same can be said of an invasion by hungry insects. A landscaper will be familiar with the types of damage occurring, as well as the best remedy to eliminate the threats. Having a landscaping company work with your plants and property can offer more than just maintenance support. Dream Co. is known for their ability to encourage the beauty of your landscape with advice on how to improve soil conditions while strategically planting for maximum growth. While the fall season often calls to mind nothing more than images of dead leaves, it actually represents a crucial time for your lawn. Autumn is the ideal period both for planting cool season grass seeds, and for overseeding warm season grasses that will remain dormant during the winter. Of course, seeding your lawn properly takes some effort. 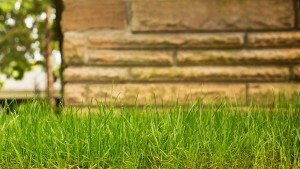 This article will break down the basic steps and benefits of planting grass seeds in the fall. There are many benefits of using natural methods for fertilizing lawns and gardens. Organic fertilizers are better for the environment and, if no other chemicals are used, will help keep your food free from synthetic toxic substances. Also, natural fertilizers benefit your soil by improving its water retention, raising its pH, and reducing erosion and crusting. Keep reading for some helpful information on why you should start using natural fertilizers on your lawn or garden today. Keeping your lawn healthy and green can be hard work. Regular watering, mowing and fertilization are each integral in maintaining lush, vibrant grass, but these steps alone are not enough. Core aeration is a necessary process to relieve the effects of soil compaction, and to keep thatch and weeds from overtaking an otherwise thriving sprawl. It allows for improved air circulation, plus better penetration of necessary nutrients and hydration, factors which contribute to an overall healthier and more attractive turf. A lush green lawn is a dream of many a homeowner whether started by power seeding or laying sod. Each region of the country has its own recommendations depending on climate and time of year. The type of grass planted also impacts the amount of care the lawn needs, but there are things that most lawns can benefit from. Your lawn is a natural respite from urban sprawl. You want to keep it happy and healthy but maybe your thumb isn’t the greenest and you don’t know where to begin. A professional can take the guess work out of managing your yard.